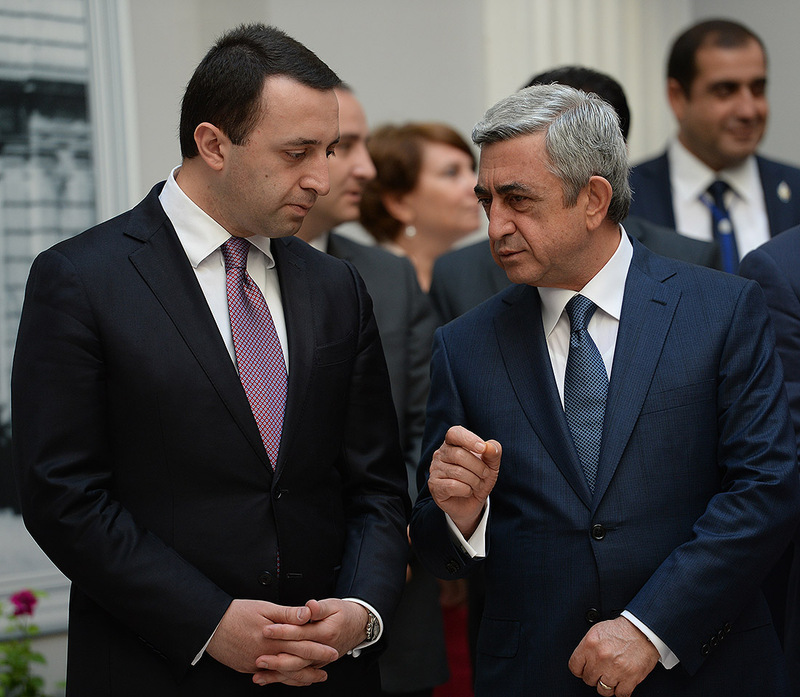 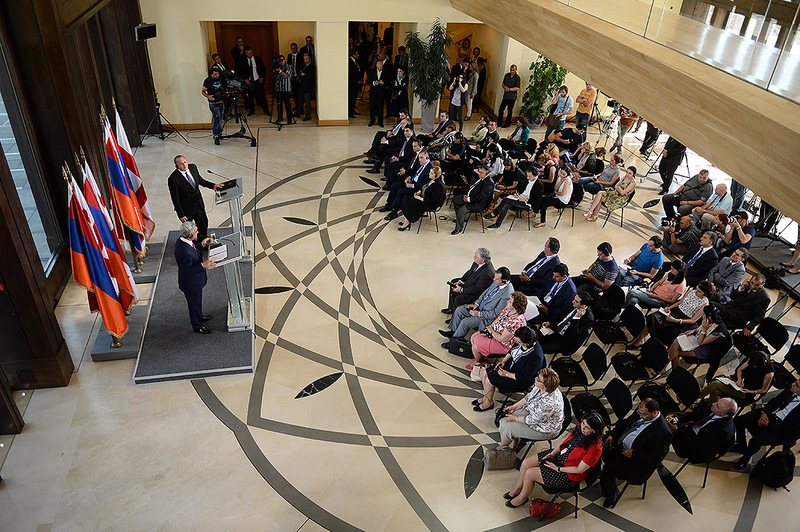 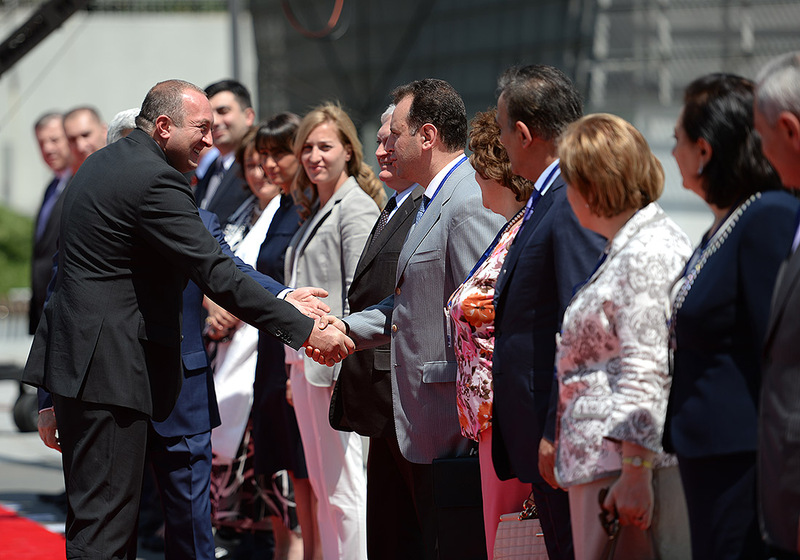 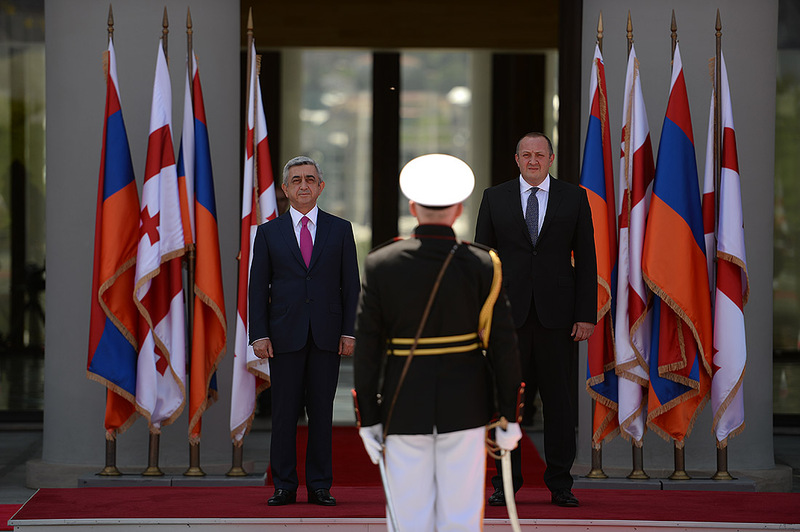 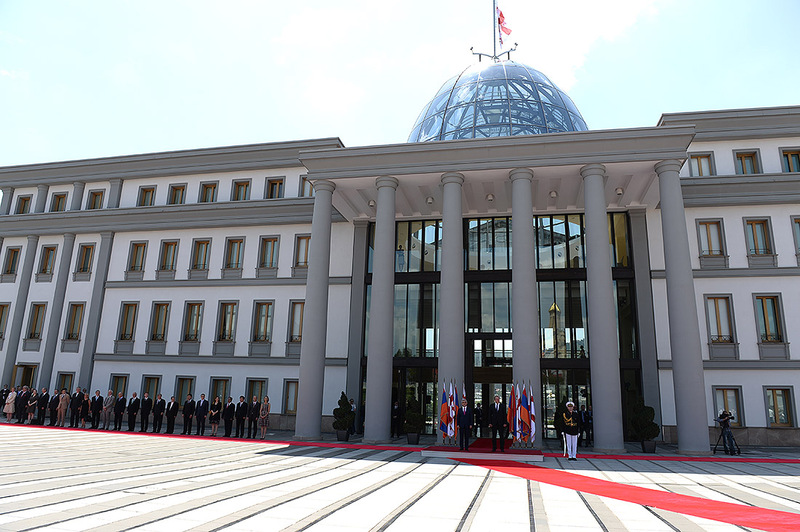 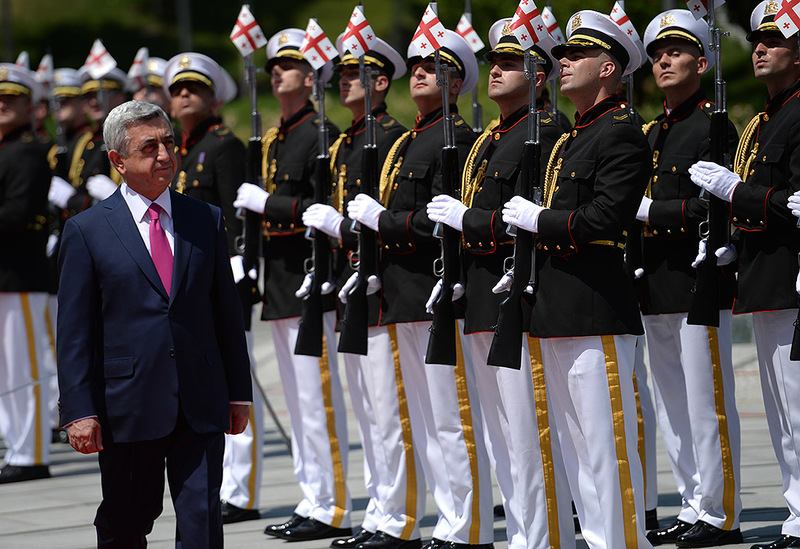 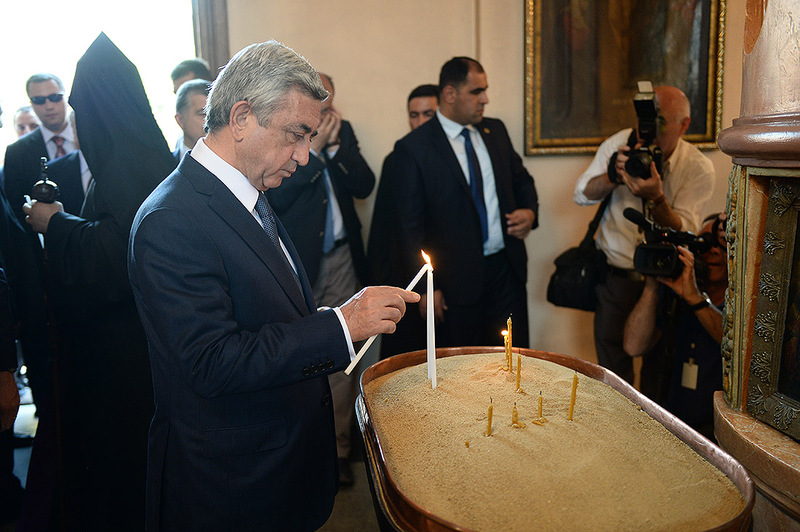 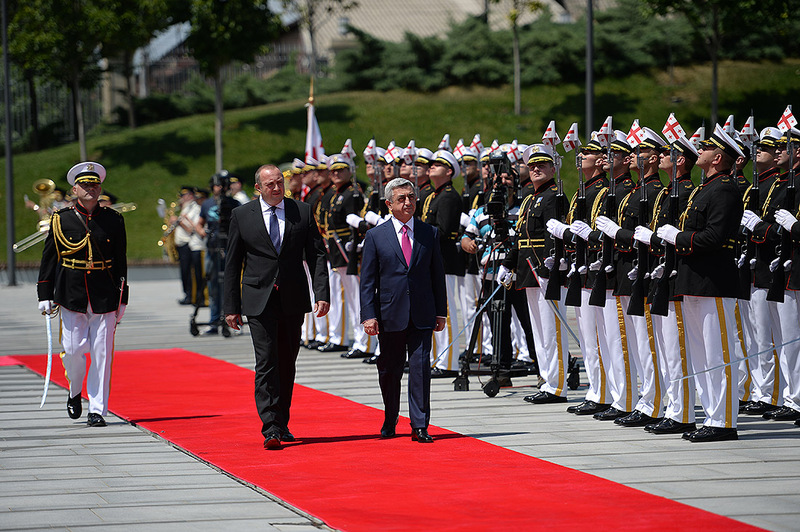 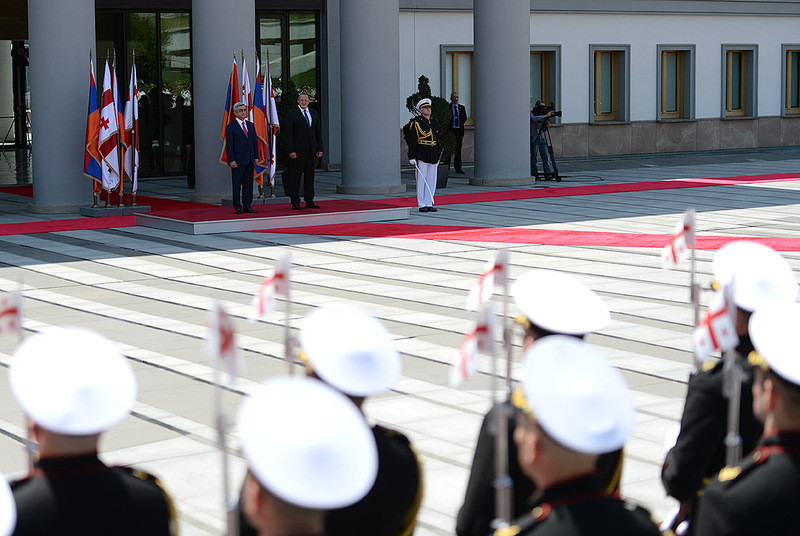 On June 18, the official welcoming ceremony of President Serzh Sargsyan who has arrived in Georgia on an official visit took place at the presidential palace. 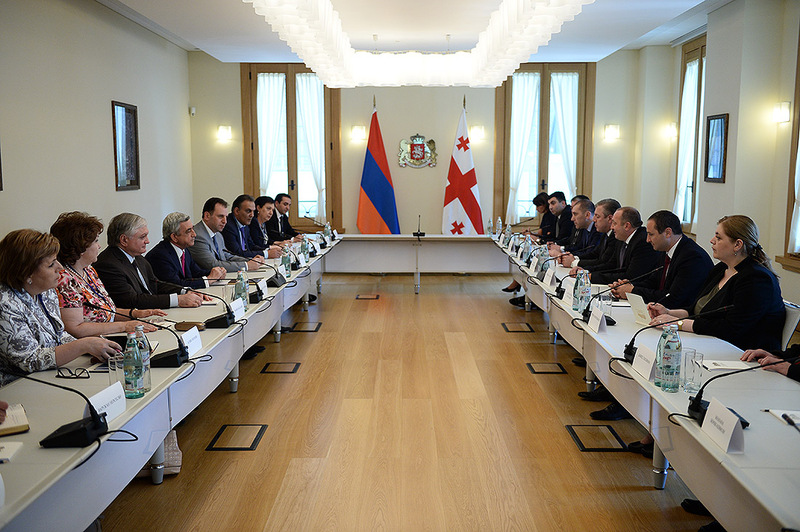 Afterwards, Presidents Serzh Sargsyan and Giorgi Margvelashvili held a one-on-one meeting followed by negotiations with the participation of the two countries’ official delegations. 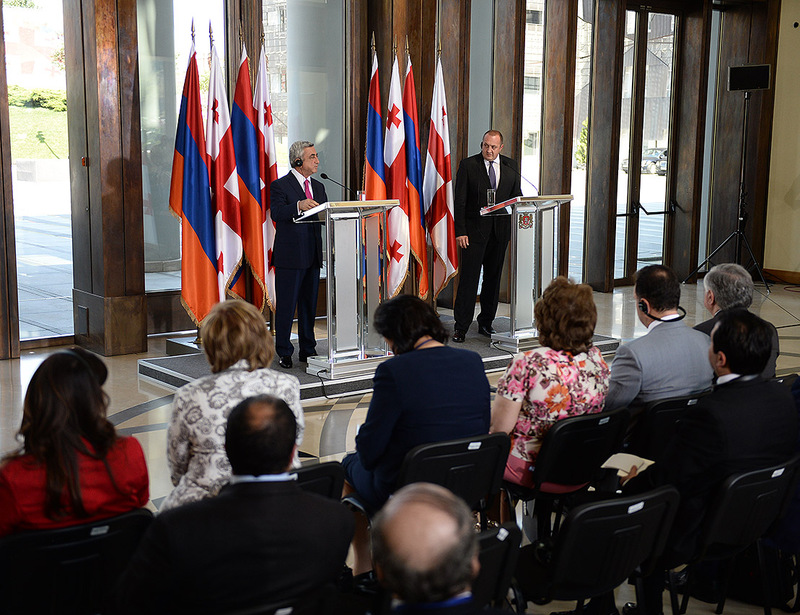 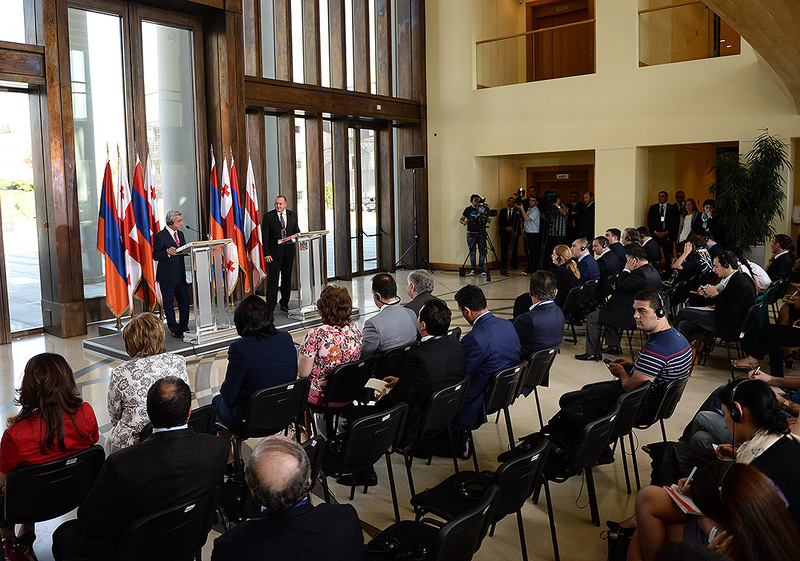 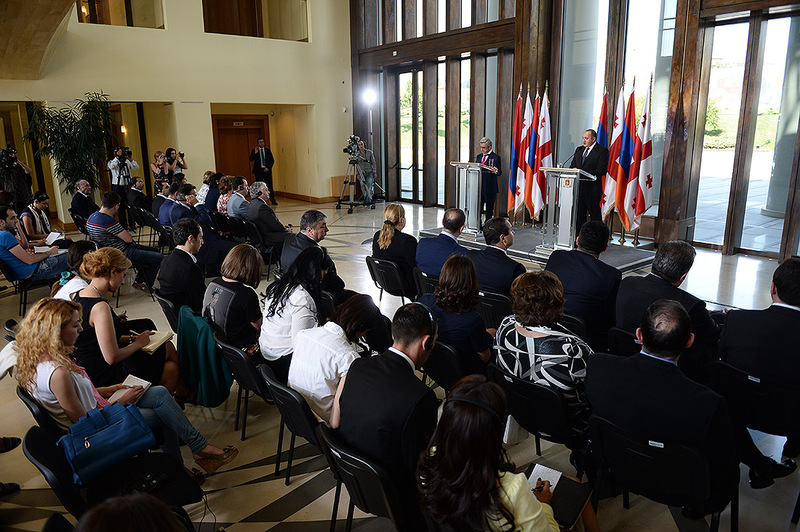 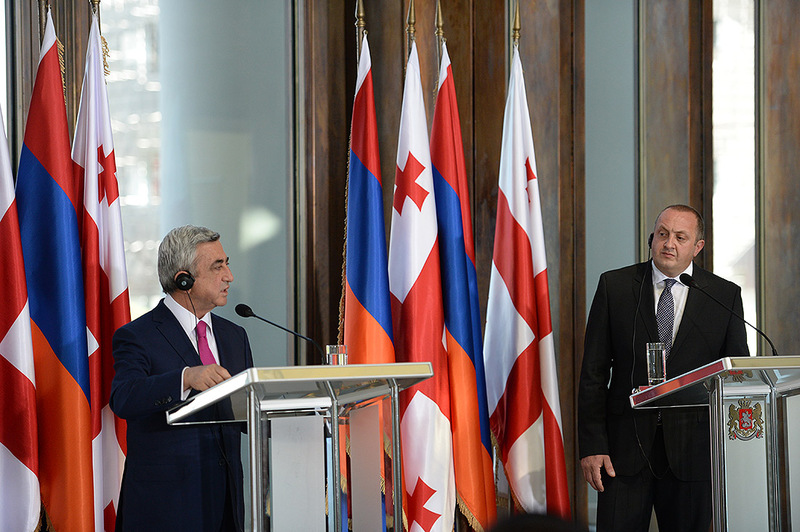 The Armenian and Georgian Presidents summed up the negotiation results at a joint press conference. 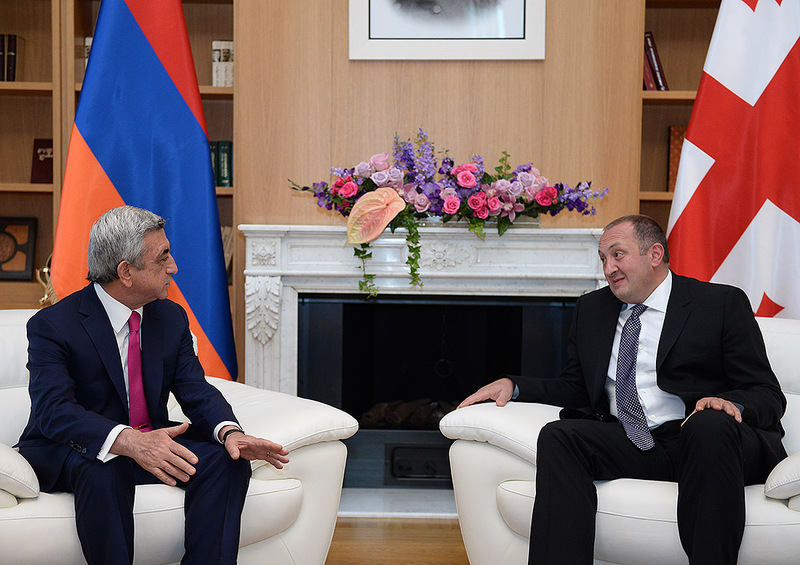 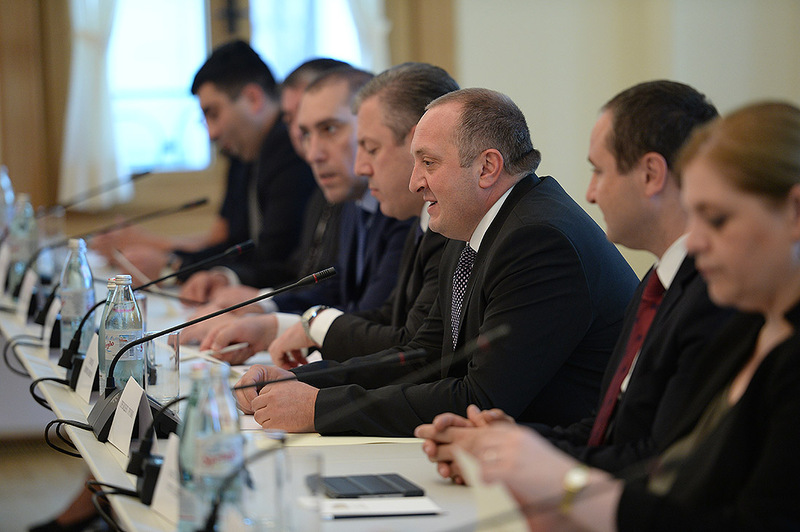 President Serzh Sargsyan on June 18 held a meeting with the Chairman of the Parliament of Georgia David Usupashvili. 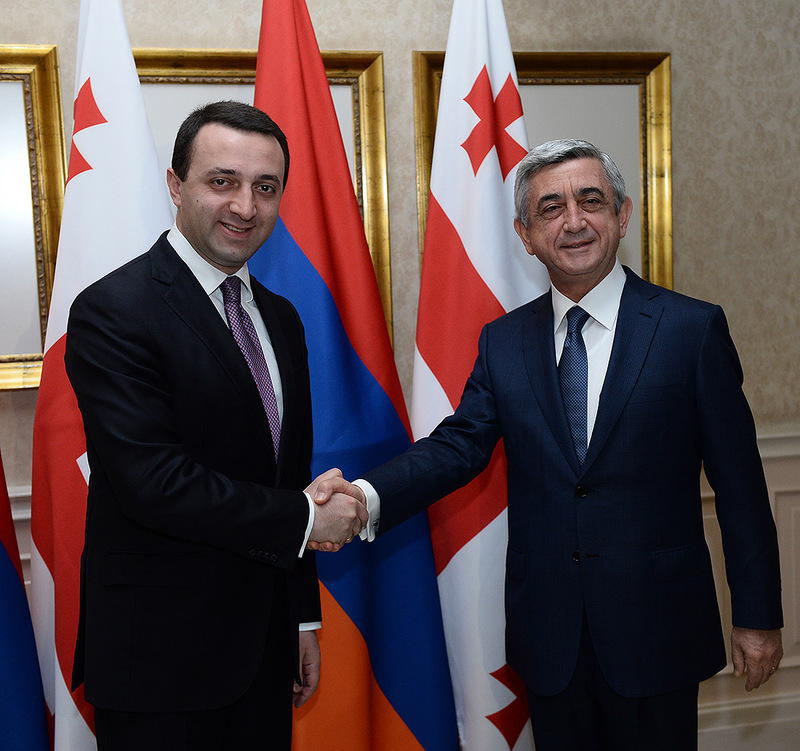 The Armenian President and the Chairman of the Georgian Parliament discussed a wide range of issues concerning the agenda of the Armenian-Georgian inter-state collaboration. 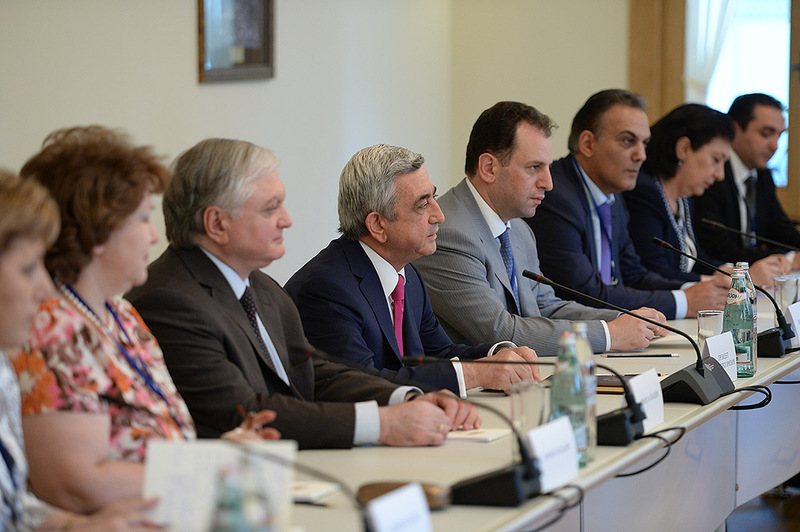 The interlocutors stressed the exclusive role of inter-parliamentary cooperation in promoting and enhancing mutually beneficial cooperation between Armenia and Georgia. 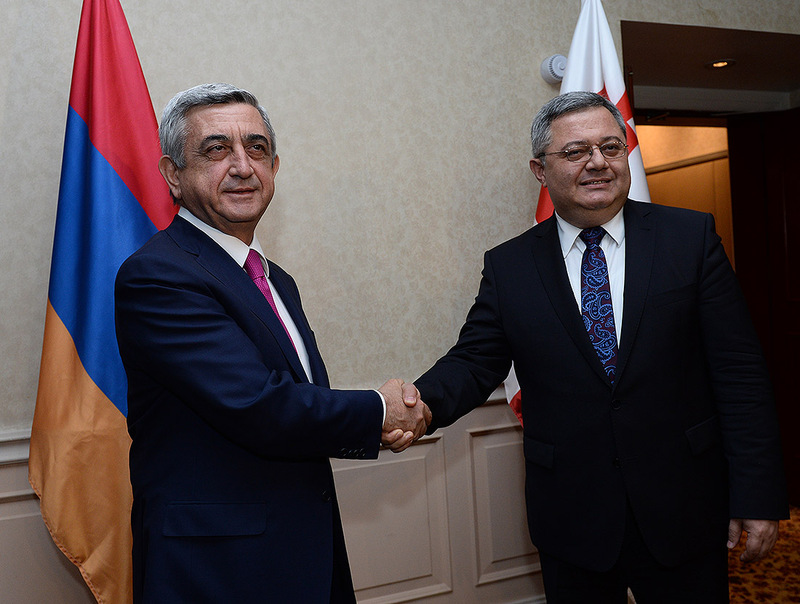 Serzh Sargsyan and David Usupashvili agreed that it is necessary to organize periodic meetings between inter-parliamentary friendship groups and parliamentary standing committees for the benefit of further strengthening the bilateral ties and intensifying the contacts between the two countries at different levels. 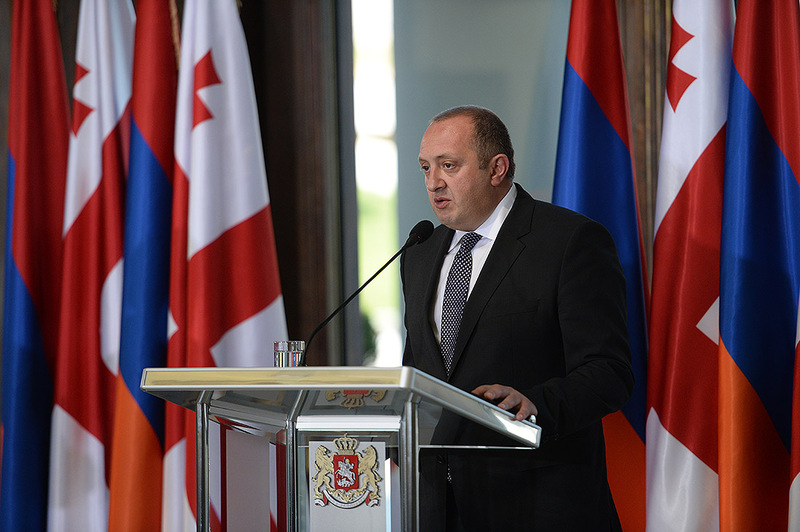 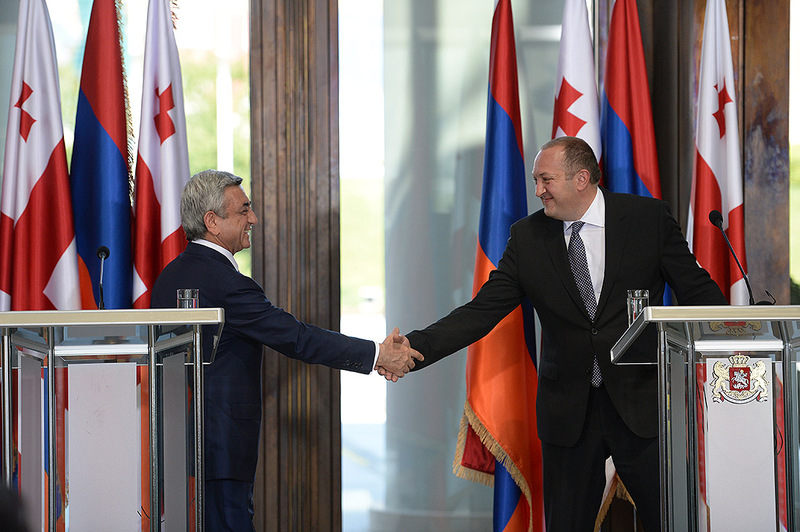 The Armenian President and the Chairman of the Georgian Parliament put special emphasis on high-level reciprocal visits with regard to reinforcing inter-state relations and assured that the present meeting will give new momentum to the Armenian-Georgian traditionally friendly and good-neighborly relations anchored in the mutual respect of the two brotherly peoples. 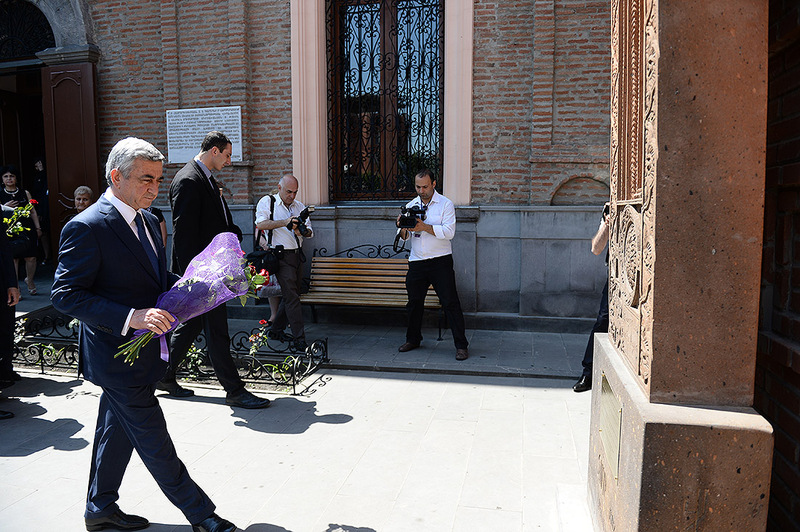 This evening, Serzh Sargsyan will attend a gala concert dedicated to the 300th anniversary of Sayat-Nova organized at Tbilisi’s Rustaveli National Theatre. 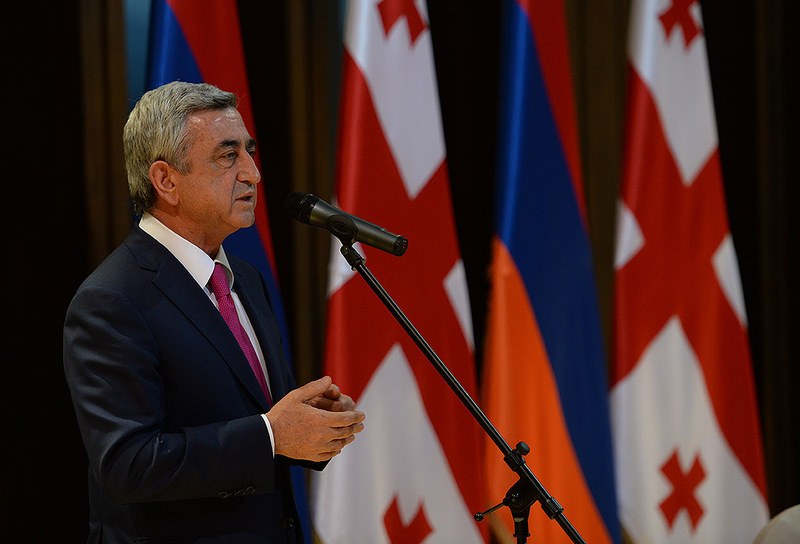 At the end of the first day of the official visit, on behalf of Georgian President Giorgi Margvelashvili an official supper will be held in honor of President Serzh Sargsyan. 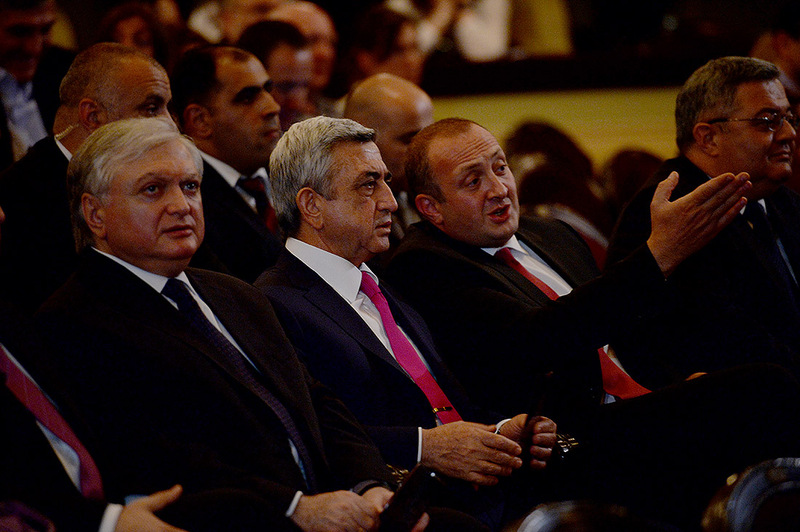 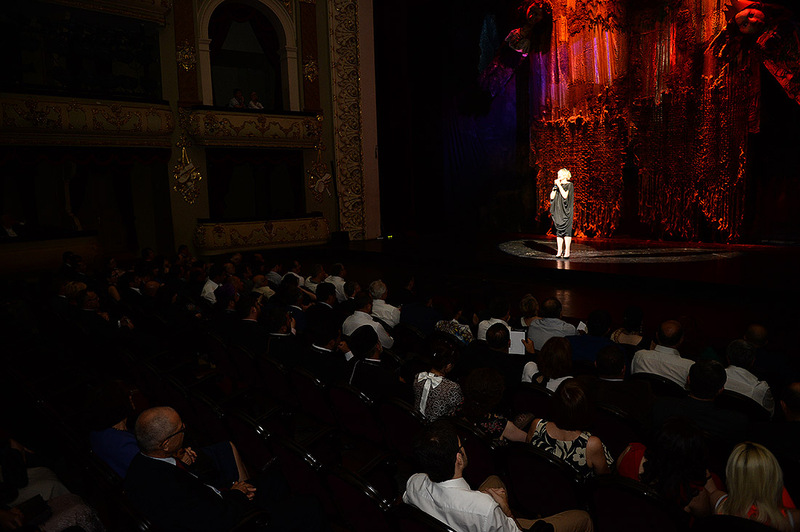 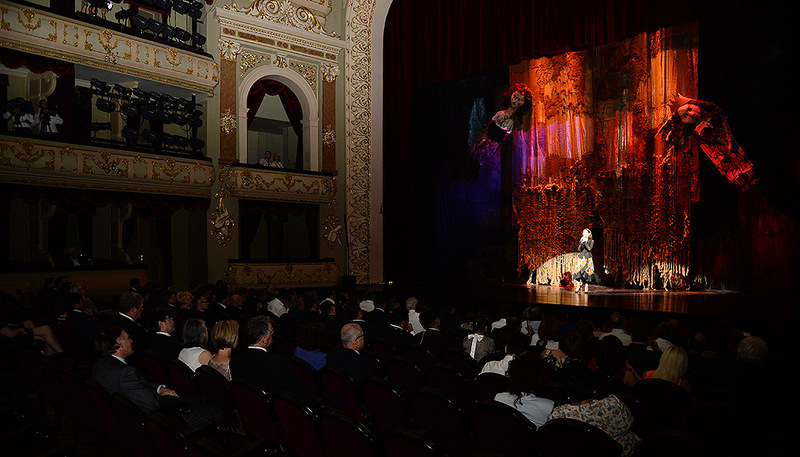 President Serzh Sargsyan also attended a gala concert dedicated to the 300th anniversary of Sayat-Nova at Tbilisi’s Rustaveli National Theatre. 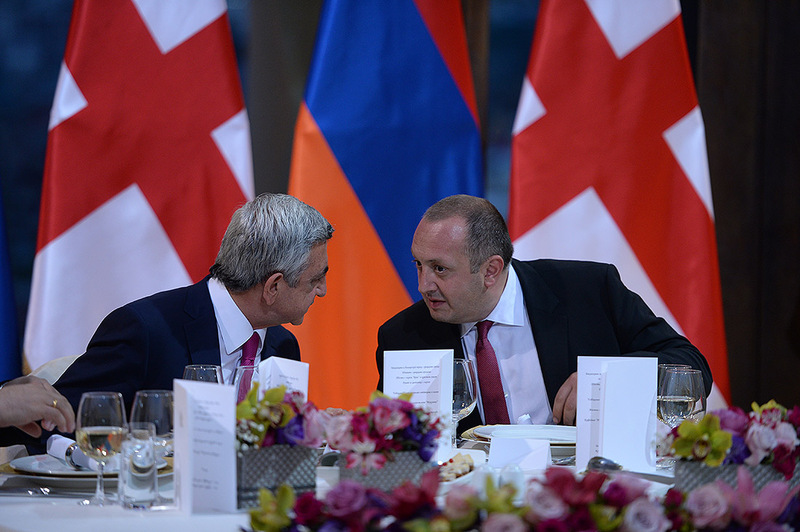 At the end of the first day of the official visit, on behalf of Georgian President Giorgi Margvelashvili an official supper was held in honor of President Serzh Sargsyan. 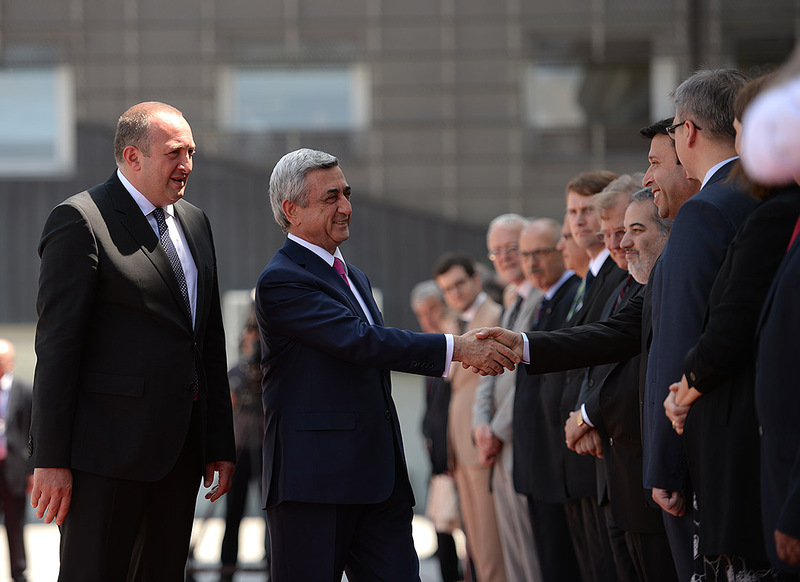 According to the established protocol, the presidents of the two countries exchanged toasts, touched upon the Armenian-Georgian century-old friendship and the historic connections of the two friendly peoples, the current high level of interstate relations and their development prospects. 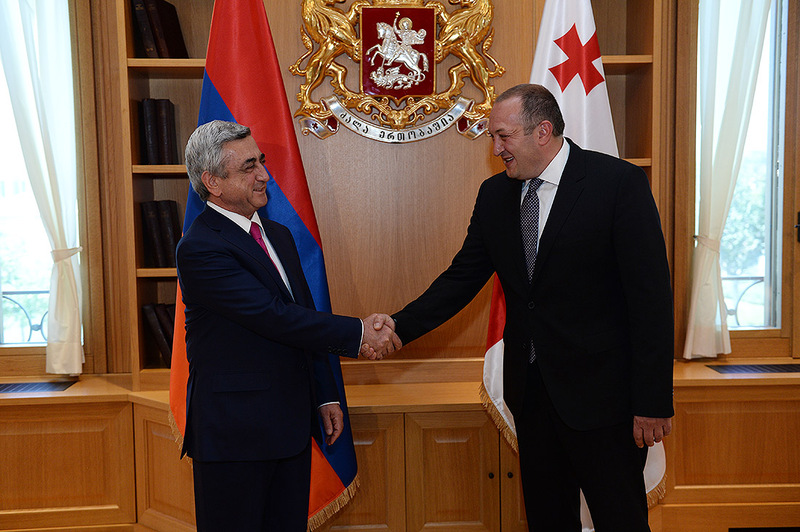 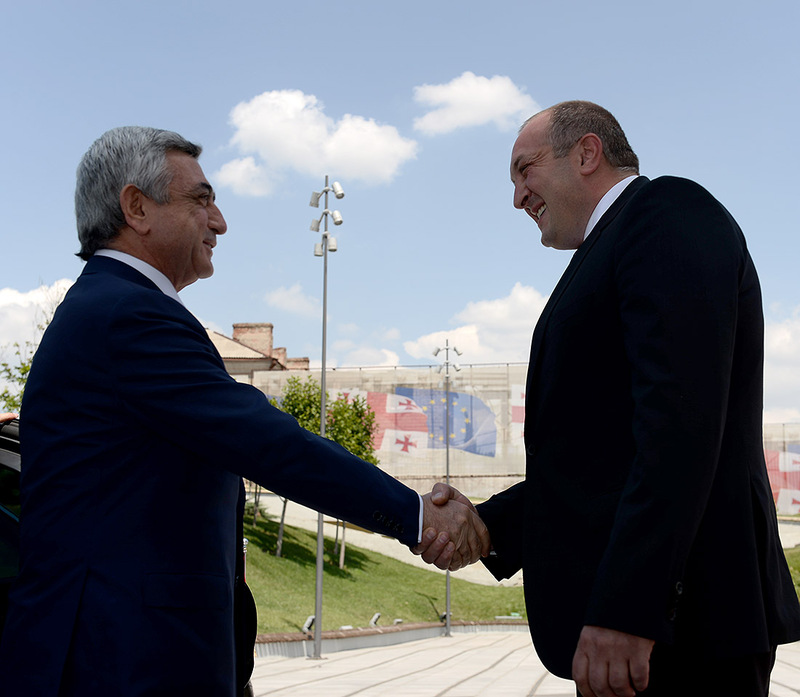 On his official visit to Georgia, President Serzh Sargsyan on June 19 held a meeting with Georgian Prime Minister Irakli Garibashvili. 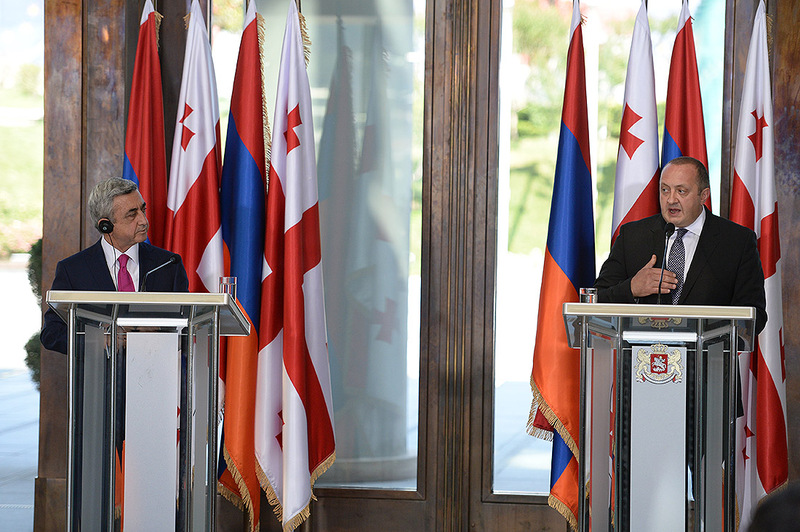 At the meeting, the interlocutors discussed issues pertaining to the Armenian-Georgian relations and especially to the great economic potential having a special place in those relations, touched upon the possibilities to fully realize that potential for the benefit of the two countries. 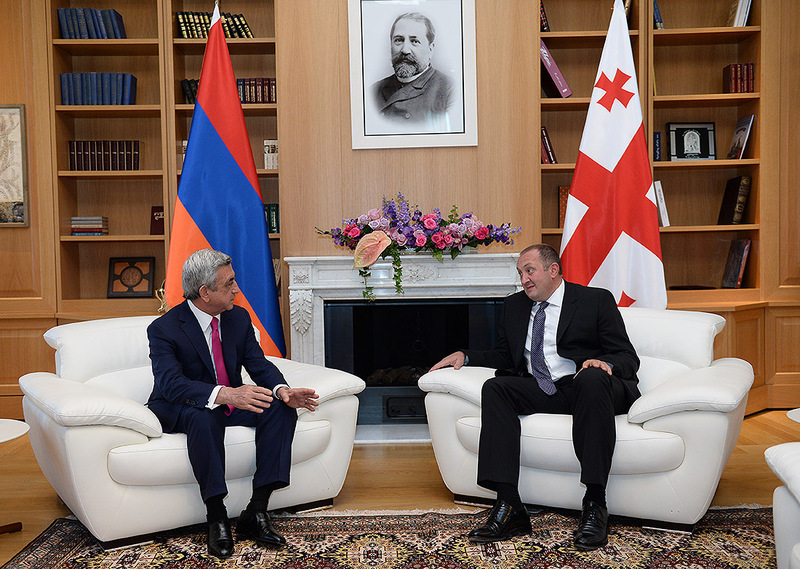 The Armenian President and the Georgian Prime Minister assured that they will make joint efforts at widening the scope of mutually beneficial cooperation in various spheres. 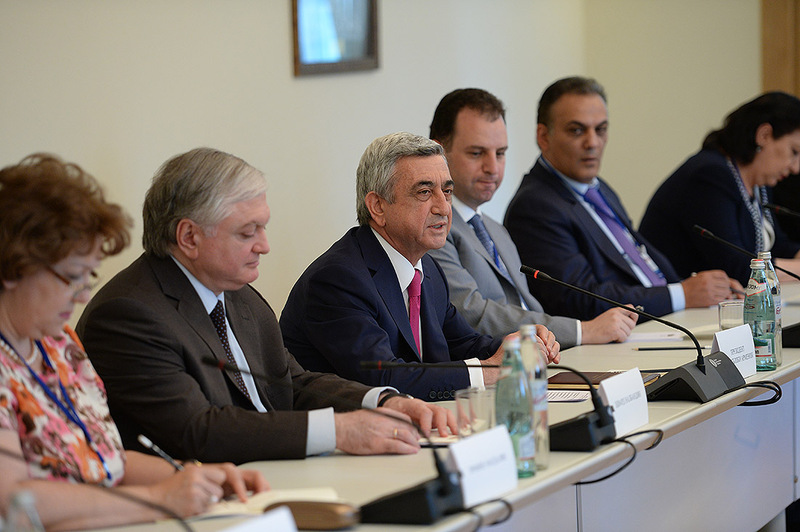 Serzh Sargsyan and Irakli Garibashvili stated with satisfaction that over the recent years Armenia and Georgia have made progress in enhancing the trade and economic cooperation laying a firm ground for raising it to a higher level. 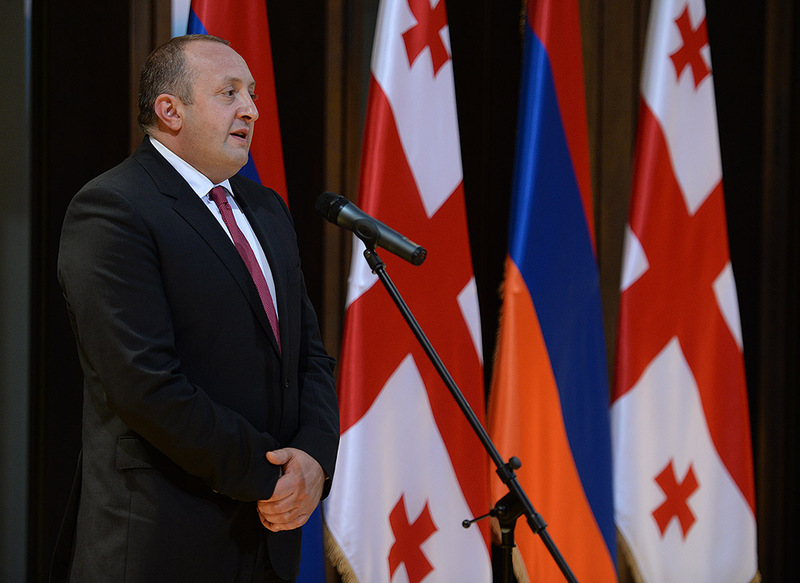 The Armenian President expressed confidence that this year’s subsequent session of the Armenian-Georgian inter-governmental commission for economic cooperation will give a new momentum to the economic cooperation and will stimulate trade circulation growth. 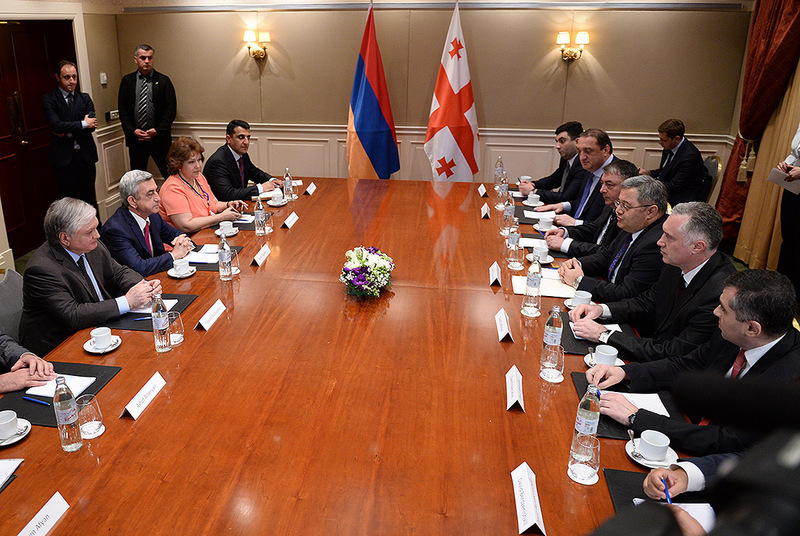 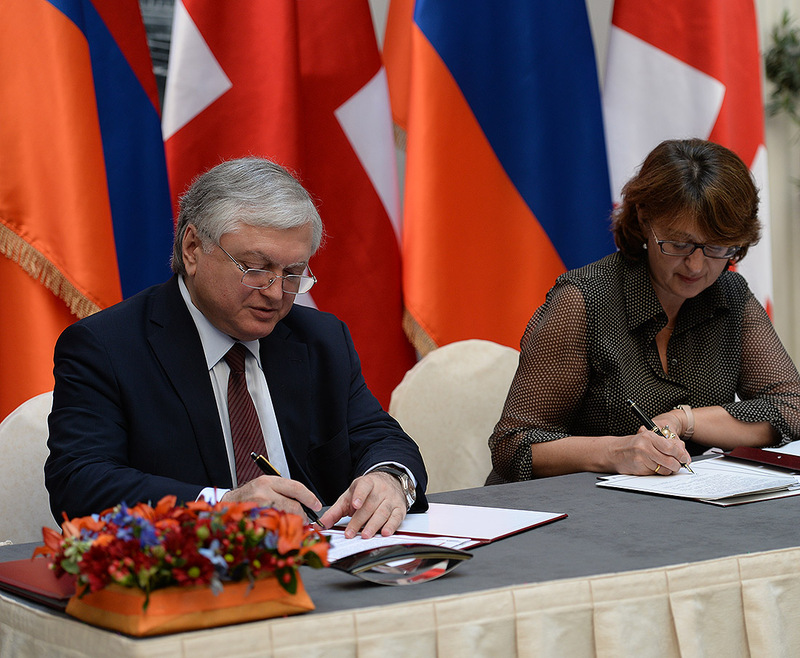 At the end of the meeting, in the presence of the Armenian President and the Georgian Prime Minister documents aimed at promoting and advancing the Armenian-Georgian cooperation were signed. 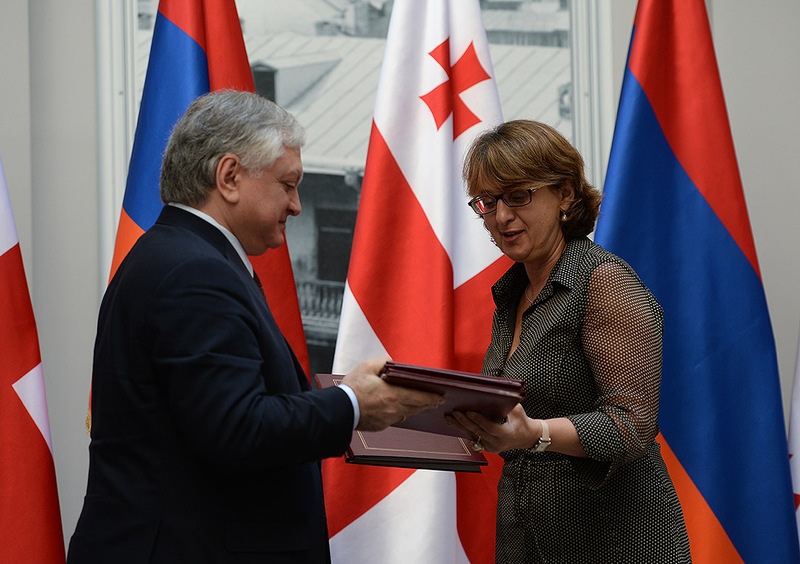 The documents include: the Agreement on Cooperation in Tourism between the government of the Republic of Armenia and the government of Georgia and the Agreement on Exchange of Secret Information and Mutual Defense between the government of the Republic of Armenia and the government of Georgia. 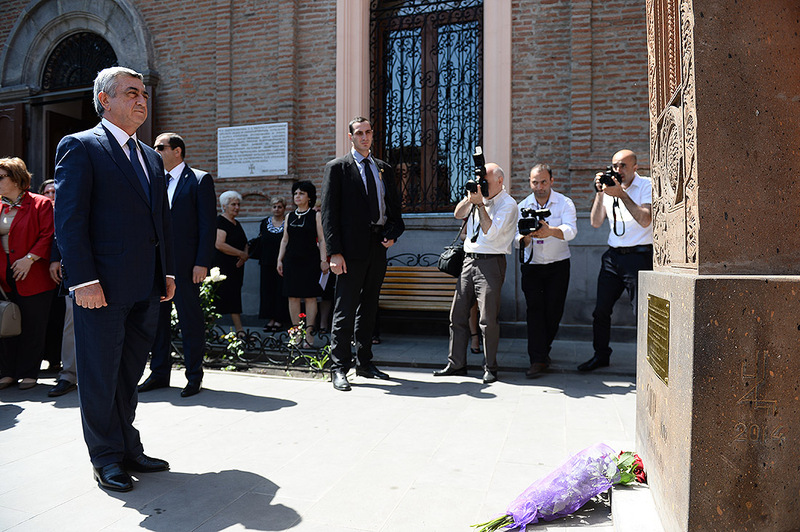 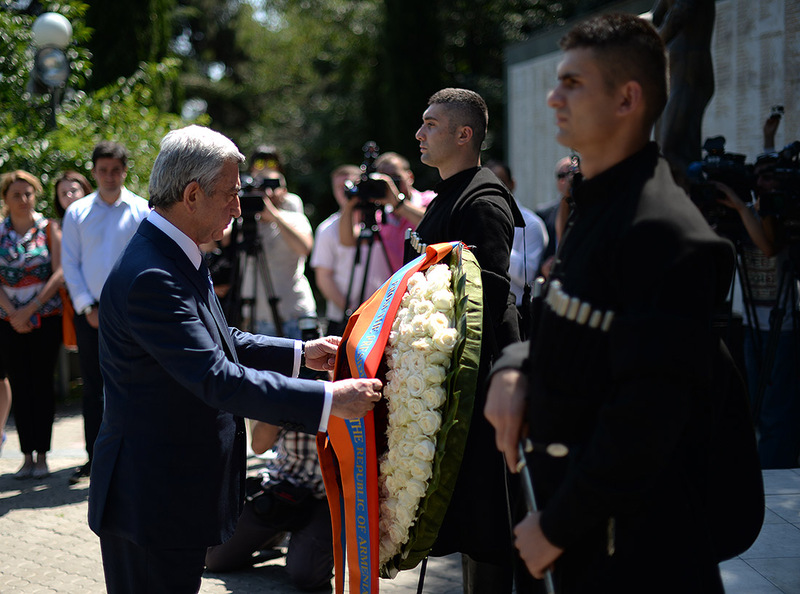 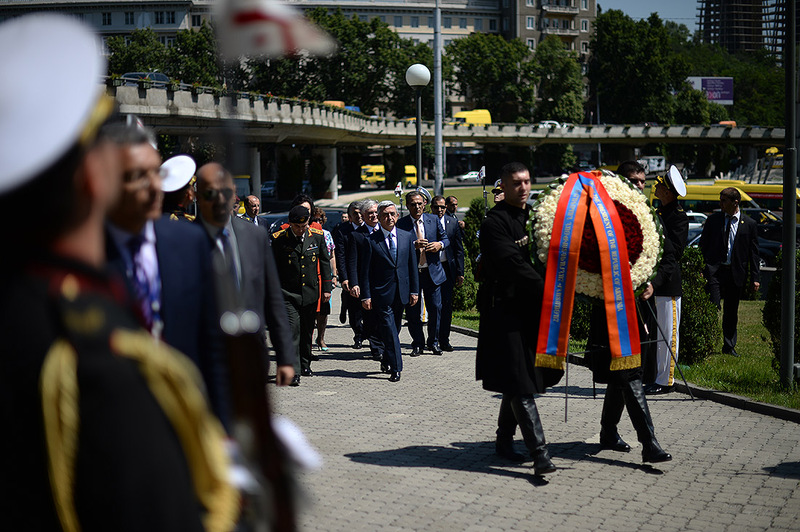 Today, President Serzh Sargsyan also visited Tbilisi’s Heroes Square and laid a wreath at the memorial. 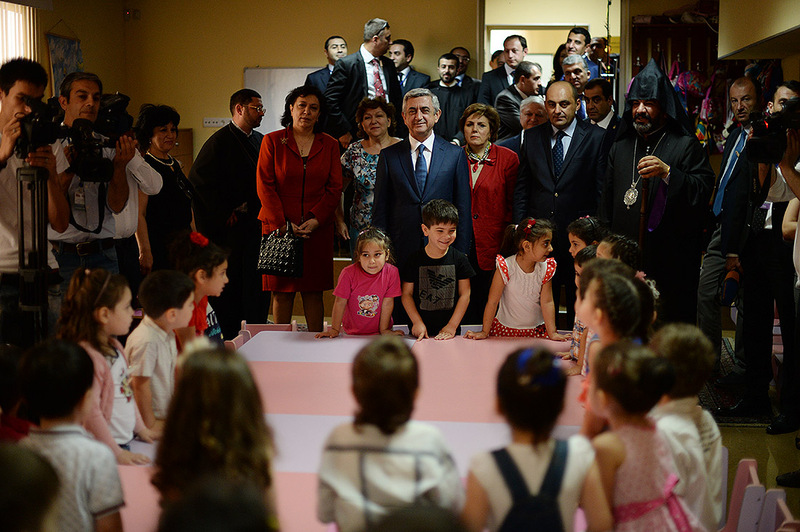 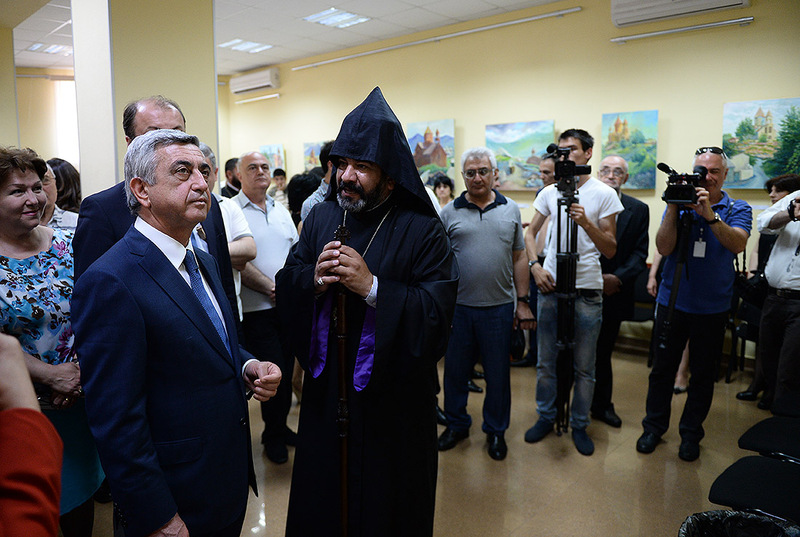 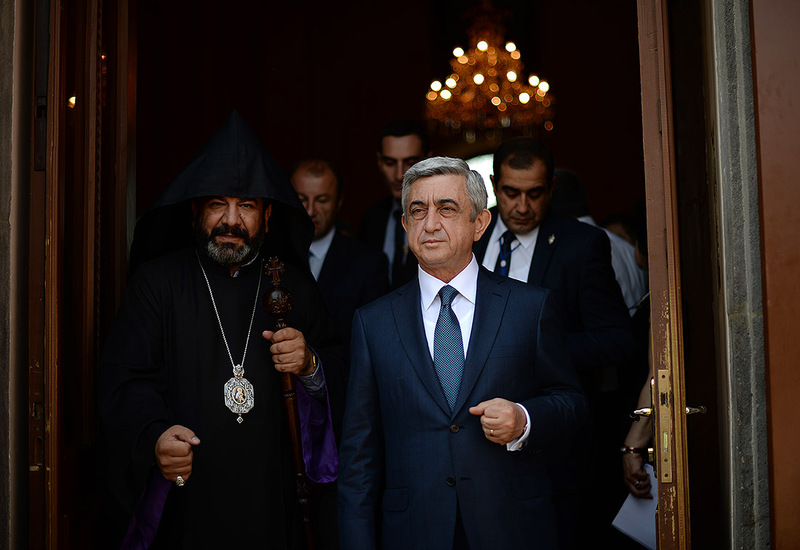 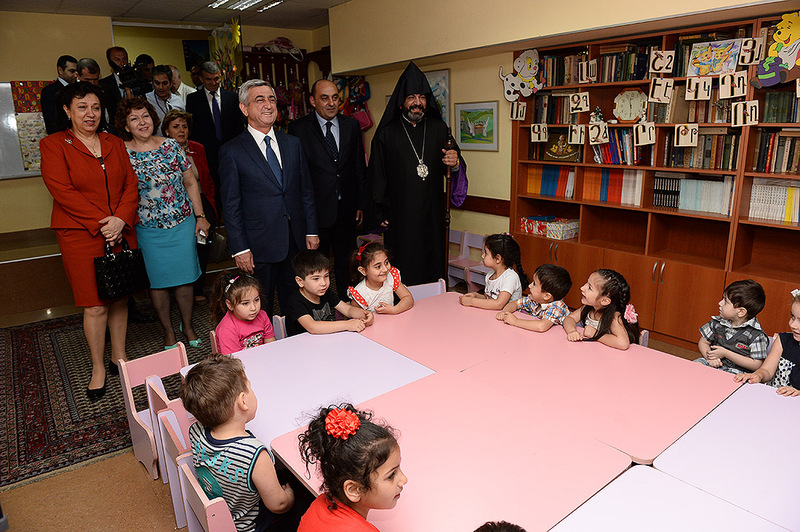 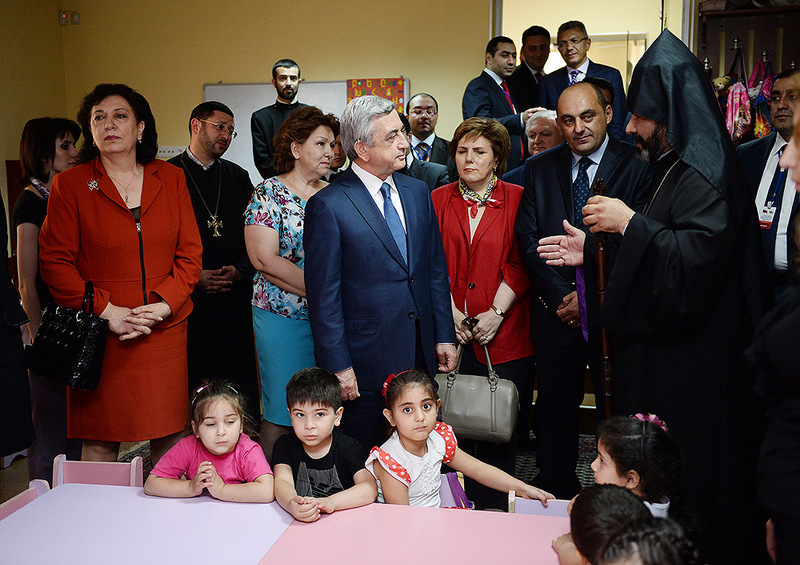 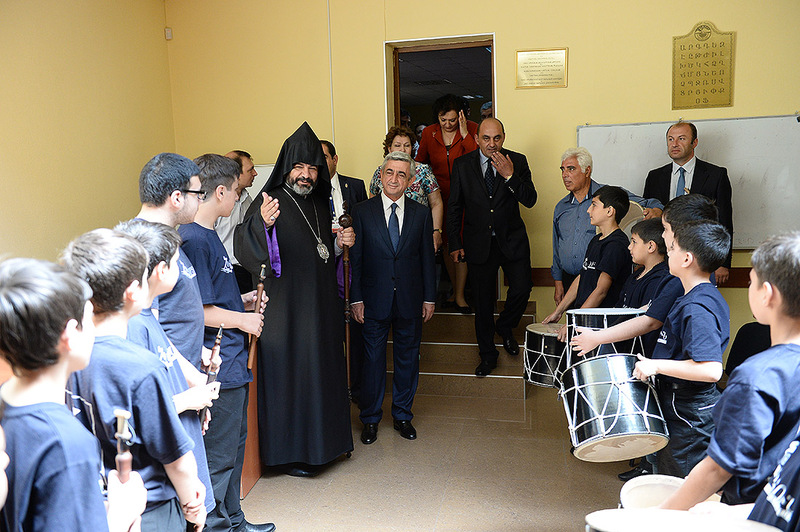 On his visit, the Armenian President was hosted at Armenian Saint Etchmiadzin Church in Tbilisi and at Hayartun Cultural Educational and Youth Center of the Georgian Diocese of the Armenian Apostolic Church.